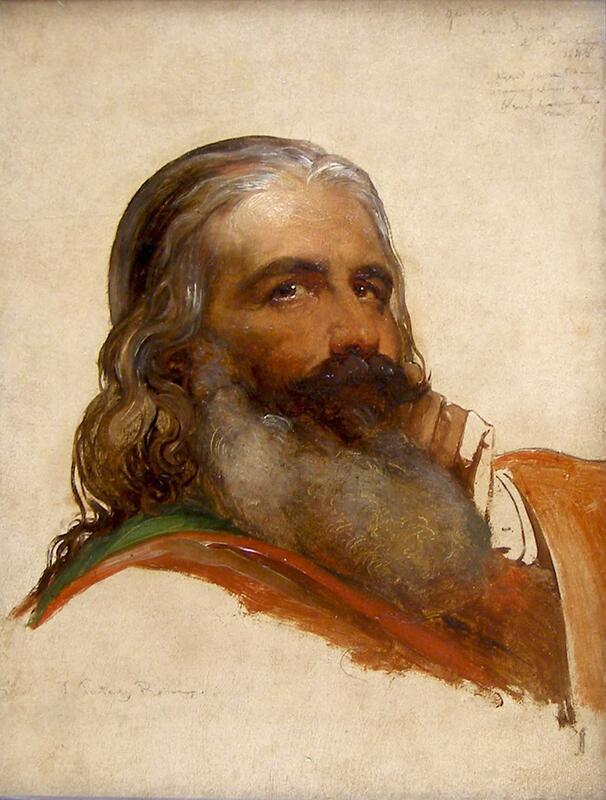 Jean-François Portaels was born in Vilvoorde near Brussels on May 1, 1818. He studied from 1836 to 1840 at the Académie des Beaux-Arts in Brussels under François-Joseph Navez, whose daughter he later married. He worked under Paul Delaroche in Paris, winning the Prix de Rome in 1842. After this Portaels traveled to Italy with the painter Alexandre Robert, and then to Morocco, Algeria, Libya, Egypt, Judea, Spain, Hungary and Norway. His experiences in North Africa resulted in a number of works in an oriental style, innovative at the time in Belgium. On his return home, Portaels was appointed Director of the Académie des Beaux-Arts in Ghent in 1847, a post he held until 1850. He received a state commission to paint a fresco for the exterior of the church of St. Jacques sur Coudenberg in Brussels, and this he executed in the early 1850s. He ran a studio in Brussels from 1858 to 1870 and proved to be a very liberal teacher: unlike the academies, he rejected strict rules and encouraged a wide variety of styles. Many important young artists passed through this studio, and Portaels thus exercised a considerable influence over Belgian art. He was Professor of Painting and drawing at the Académie des Beaux-Arts in Brussels from 1863 to 1865, but resigned in order to devote himself to his private studio. He was in Morocco again from 1870 to 1874. In 1878 he was appointed Director of the Académie in Brussels, a post he held until his death on February 8, 1895. Many of Portaels's pictures were derived from biblical subjects. However, he was known to have painted a number of portraits and figure paintings, like the sitter portrayed in the present work. 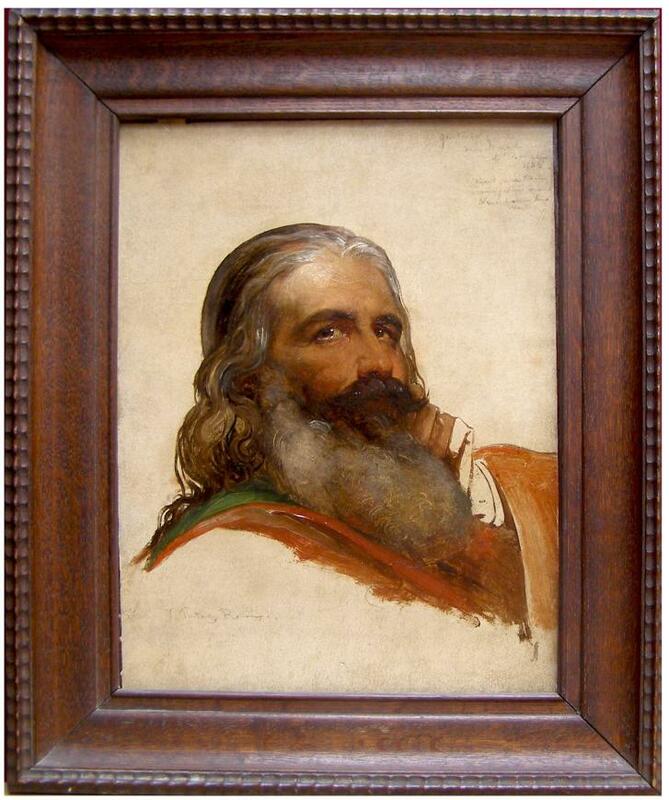 The delightful unfinished study of a bearded man portrays the subject of Portaels's male servant, as identified in the inscription in the upper right. Again, according to the inscription, we know this work was painted in 1845 in Rome, during his first extensive travels.